One old-time coffee generalization certainly got shot down by this month’s reviews: the notion that the way to get pronounced espresso flavor in large (i.e. caffè latte-sized) volumes of hot milk is to roast the hell out of the coffees. 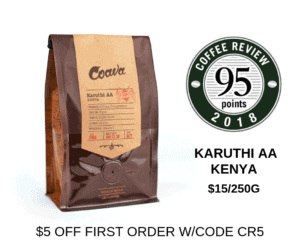 The idea used to be that the burned pungency of darker roasted coffees would cut through the sweetening, muffling impact of the milk better than medium roasts, especially if these darker roasted coffees were high-grown and already rather sharp and acidy. This is the theory that for years gave us American espresso blends that, when taken as a straight shot, tore the skin off our throats. But so far as I and co-taster Andy Newbom of Barefoot Coffee could tell based on this month’s blind tasting of thirty-one North American espressos, darker roasting does not help at all in producing more presence in milk. Aggressive roasting simply resulted in a more limited sensory profile, which stubbornly stayed limited in milk. Milk sweetened and softened profiles, but in general dark roasting left less behind for the milk to sweeten and soften. In fact, blends that impressed us as straight shots impressed us in milk as well, and often impressed us with an only mildly modified suite of aromatic sensations. True, the sugars and fats in the milk often modified or muted the main sensory themes, but the continuity remained clear. Take the richly sweet lemon notes in the top-rated Counter Culture Apollo blend (93), for example. This ripe citrus sensation read as a sort of rich marmalade in the straight shot but turned creamily tart in milk – a sensation Andy nicely characterized as “lemon curd.” With a couple of other blends we experienced, not change, but amplification of a positive characteristic in milk. The most dramatic instance of a similar-but-better-in-milk character was the West Bean Sweet Sussex blend (92), where the deeply fruity and apricot character of the straight shot opened up and bloomed with an extraordinarily deep, resonant peach quality. It was not the detail of the sensation that was so persuasive, but rather the depth and natural sweetness it developed as it interacted with the milk – excuse the fustiness of the metaphor, but a little like adding a cello to enrich a melody already played by a violin. Other blends were complex and forceful as a straight shot, maybe just at the edge of too forceful, but plumped up and smoothed out nicely in milk. Note, however, that the forcefulness was not accomplished through aggressive roast, but it would appear through forceful and complex green coffees brought to an (at most) moderately dark roast. Conversely, a couple of blends that relied more on finesse than fullness showed very mild hints of fading in four parts milk – no change in essential character, but a simple dilution in impact. Returning to roast, it appears that almost all of the blends that scored well were roasted to a point just before the second crack (the turning point from medium roast to dark), or just into the second crack. Exceptions to the just-at-the-edge-of dark tendency among the blends reviewed here were the solidly medium-roasted Caffé Ladro Espresso (91) and De La Paz 14th Street Espresso (89). The Caffé Ladro blend maintained resonance as well as balance at a medium roast whereas the medium roast may have intensified a slightly imbalanced sharpness in the otherwise impressive De La Paz. A word on my co-taster Andy Newbom and his company Barefoot Coffee. Last time out with Andy (Botany and the Cup: The Bourbon Conundrum, July 2009) [https://www.coffeereview.com/article.cfm?ID=161]) we cupped at my lab. This time round we tasted espressos at his place, located in a wonderfully relaxed mixed residential and light industrial area in the Silicon Valley town of San Jose. Barefoot generally quietly cooked with technical ingenuity and experiment, staffed by a crew that was uniformly unpretentiously articulate, knowledgeable, and nicely decorated. The espresso blends were prepared with consistency and skill and by Barefoot Barista Trainer Elaine Levia, strong, lovely and coffee wise, on a Nuova Simonelli Aurelia using a doserless Anfim Milano grinder. The Aurelia was set for 9 bars, water temperature 200F (World Barista Championship standards), and the milk heated to between 140F and 160F. We used a standard 2% milk, off the shelf at our local market. As for Andy himself, how about “a cornucopia of fruit-forward intensity, balanced with an abundance of nuts … decidedly sparkly and loaded with tongue-in-cheek sweetness. A trifle un-tattooed and under-pierced on his own, mercifully he is backed by the best coffee people anywhere in the form of the Barefoot Coffee team. Best served chilled (never hot) to appreciate the refreshingly over the top, idiosyncratic voice of this catador. This vintage 1969 coffee maniac is seriously head over heels in love and spends almost every hour of the day drinking coffee juice. Pairs well with his life-long love and bride Nanelle.” In Andy’s words, of course. I should add that, un-tattooed and under-pierced as he may be, Andy was displaying a pretty original set of facial hair during our tasting. One would think that given the almost universal use of uniform blind tasting protocols and procedures to evaluate virtually every beverage and food now existing in the Western world we would not have to defend the use of those same protocols and procedures to evaluate espresso. Nevertheless, a passionate group of espresso aficionados in particular questions us every time we run another blind tasting of espressos. Admittedly there are unusual issues at play in evaluating espressos. Coffee generally is a fragile beverage that is in a continual state of re-creation. In particular, there is an intimate interplay between the espresso coffee and the extraordinarily complex act of brewing it on expensive, sophisticated pieces of machinery. I certainly have no problem with people publishing reviews of espresso coffees in which they have made every possible adjustment within their technical capabilities to maximize the performance of the coffee being reviewed. This practice provides valuable insight for everyone. On the other hand, there also is enormous value in gathering a lot of coffees in one room, subjecting them all to the same protocols and procedures (protocols and procedures that reflect a consensus of industry leaders), and with everything stripped away except the fact of the cup itself, with all triggers of expectations, loyalties and coffee ideologies hidden and out of sight, taste and report honestly on what one has tasted. 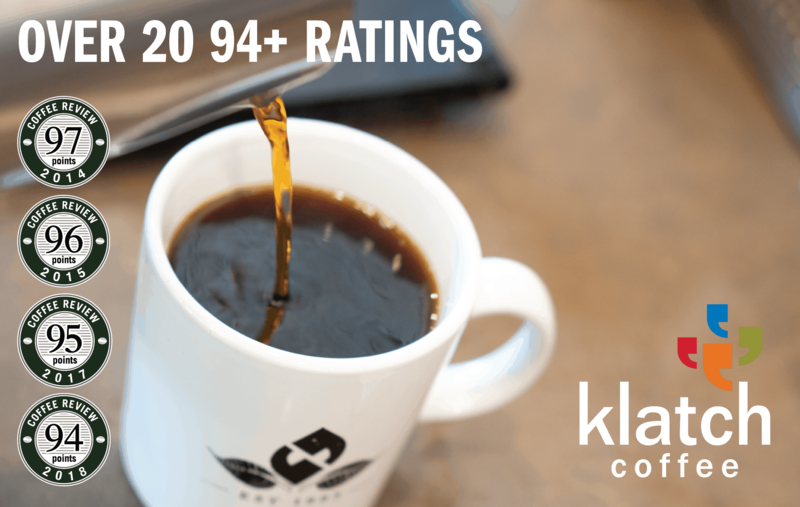 Very likely there were some espressos in this month’s tasting that might have attracted higher ratings had they been extracted at, for example, higher water temperatures or lower temperatures. Or using one of many brewing nuances available to skilled baristas like Elaine, whom I am sure felt limited by the consistencies we imposed on her. Doubtless she felt that, let loose with the blends and the sophisticated equipment she had at her disposal at Barefoot, and given enough time, she could have made some of these blends impress more than they did. However, I think caveats are in order, not excuses. First of all, baristas, like roasters, have certain habits developed out of the very depth of their engagement with their craft. A barista working with a familiar style of blend may know very well how to maximize its performance, but may not be as skillful with another style. By allowing for blend-specific technical tweaking we would thus risk at least the possibility of creating an uneven playing field. Secondly, blends that do well at standard brewing parameters, using standard protocols, carry at least some reassurance that they are versatile enough to perform well in home equipment with its typically very limited control of brewing variables. Which is, after all, the main point here: We want our readers to be happy with their espressos. 2010 The Coffee Review. All rights reserved.